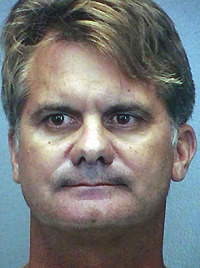 Robert Ray Huizenga, the son of famed Fort Lauderdale billionaire H. Wayne Huizenga was sentenced to 18 months in Florida State Prison for the offense of Boating Under the Influence today. Circuit Judge Michele Towbin Singer accepted the plea today while allowing this sentence to run concurrent with the 24 month prison sentence Huizenga received for violating his probation. Huizenga was originally placed on probation due to a driving under the influence (DUI) incident which left a pedestrian in Fort Lauderdale with a concussion, a gashed head, and a broken elbow. In Florida in order to be found guilty of Boating under the Influence in Florida, the State must prove essential elements. First the State of Florida must prove that the person arrested for Boating under the Influence was in actual physical control of the vessel. In other words the State of Florida must prove that the person was actually driving the vessel. When defending an arrest for Boating under the Influence it is extremely important to have a clear understanding of layout of a Defendant’s vessel. Remember, all cars have driver’s seats. Not all boats do. The State of Florida must prove that an individual is under the influence of alcohol to the point that their normal faculties are impaired. In other words the State of Florida must show that an individual’s normal faculties, i.e., ability to walk, talk, hear, see, respond in an emergency, is impaired. This may be accomplished by observations by a law enforcement officer of a criminal defendant. Perhaps the officer observed a lack of balance and red bloodshot watery eyes. This is the type of testimony that the State of Florida will attempt to use in order to convict a criminal defendant of boating under the influence. Remember to use common sense when defending your boating under the influence case in Broward, Dade, or Palm Beach! Most boating under the influence officers will admit that when you are on a boat for an extended period of time you may experience a lack of coordination or balance. This is commonly referred to as “sea legs.” Additionally, remember that people do oftentimes develop red eyes simply by being on a boat, in the wind, with the salt air! If you have been arrested for Boating Under the Influence or Driving Under the Influence in Dade, Broward, or Palm Beach County and would like to speak with an experienced BUI attorney please call (954) 761-4011. Fort Lauderdale Criminal Defense Attorney Richard Ansara practices in many areas of criminal defense and invites you to call if you have any questions. Arrested? Need a Lawyer? Call (954) 761-4011.